Typical applications include: oil refineries, chemical plants, textile mills, paper mills, steel mills, food processing and any area where corrosive or hazardous conditions exist. The standard enclosure consists of heavily constructed cast iron top and tank – a functional design that facilitates installation and provides a dust-tight, weather-resistant lever operator. 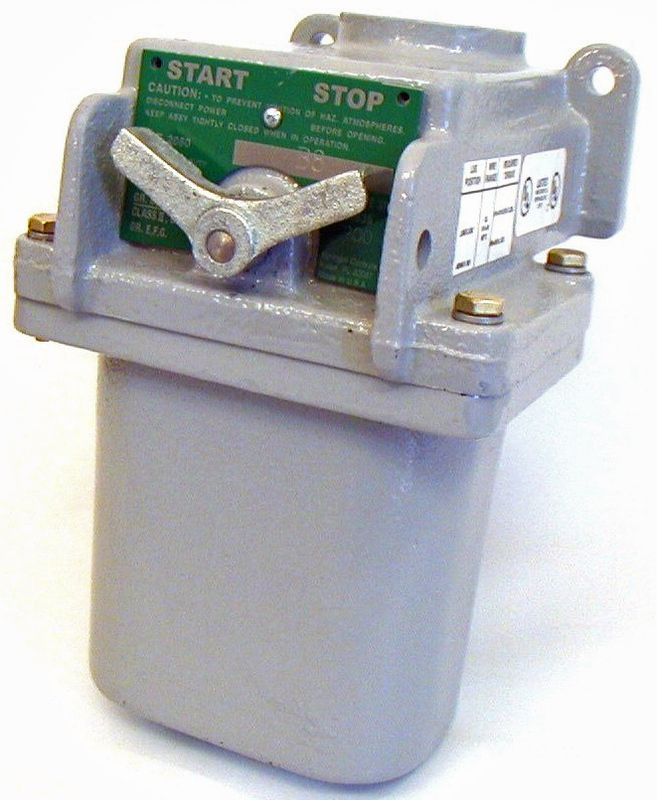 The top casting has a provision to lock the operating lever in either the “on” or “off” position. The operating mechanism consists of heavy duty contacts, a molded phenolic mounting panel and push-rod, wing-type cast iron operating lever, monel shaft, stainless steel bushings and washers. All operator stations are designed with maximum flexibility of contact arrangement and access to operating parts for easy installation, maintenance and inspection. The control of corrosion from atmospheric conditions and the elimination of exposed arcs are accomplished by the immersion of all operating parts in oil. The Type 675 has the Underwriters Laboratory (UL) approval for Hazardous Location, File #184636.